If you need surgery, Winchester Hospital offers a wide spectrum of advanced surgical specialties that you might expect to find only at a big city hospital – coupled with small-town compassion plus high-quality, personalized care. 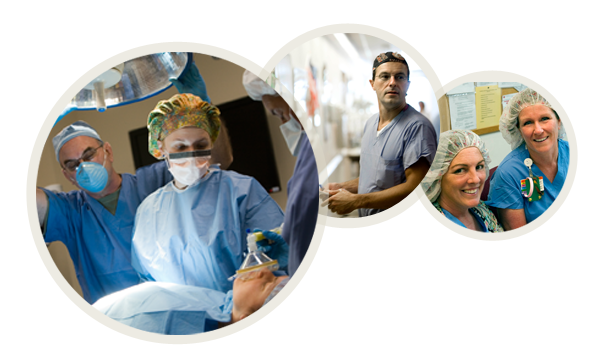 Winchester Hospital’s Surgical Services Department provides its patients with the finest doctors and nurses, state-of-the art technology, and innovative surgical techniques. Find a surgeon on the Winchester Hospital medical staff. Our brand-new, state-of-the-art outpatient surgery center is located at 620 Washington Street in Winchester. This advanced day surgery facility is customized to serve the needs of our patients, families and friends. The center features reduced wait times for surgical care, expanded capacity and services to address patient needs, and a facility that will allow for future expansion. Learn how you can support this project. Our board-certified physicians represent a wide range of surgical fields, placing Winchester Hospital and its medical staff among the elite. Winchester Hospital’s cancer program is certified by the American College of Surgeons, which is devoted to promoting the highest standards in surgery. With the most modern technologies at their fingertips, our surgeons employ advanced surgical techniques, including laparoscopic surgery, which involves minimal incisions for less scarring and faster healing, and the state-of-the-art da Vinci robotic surgical system for minimally invasive surgery. Winchester Hospital has received national and state recognition for its commitment to safe, high-quality surgical services. The hospital was named a national Bariatric Surgery Center of Excellence (BSCOE) by the American Society for Bariatric Surgery. In addition, we were recognized twice by Blue Cross/Blue Shield of Massachusetts as a Blue Distinction Center – both for bariatric surgery and knee and hip replacement. The Blue Distinction designation is awarded to medical facilities that exhibit a commitment to high quality care, resulting in better overall outcomes for patients.